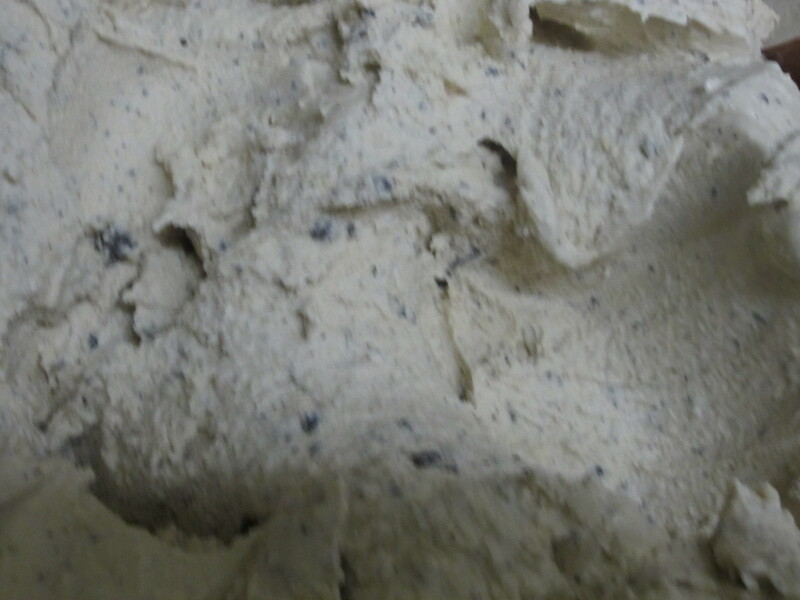 We made a double batch, so if you don’t want as much just halve everything. 1/4 to 1/2 cup of roasted espresso beans, depending on how you feel. 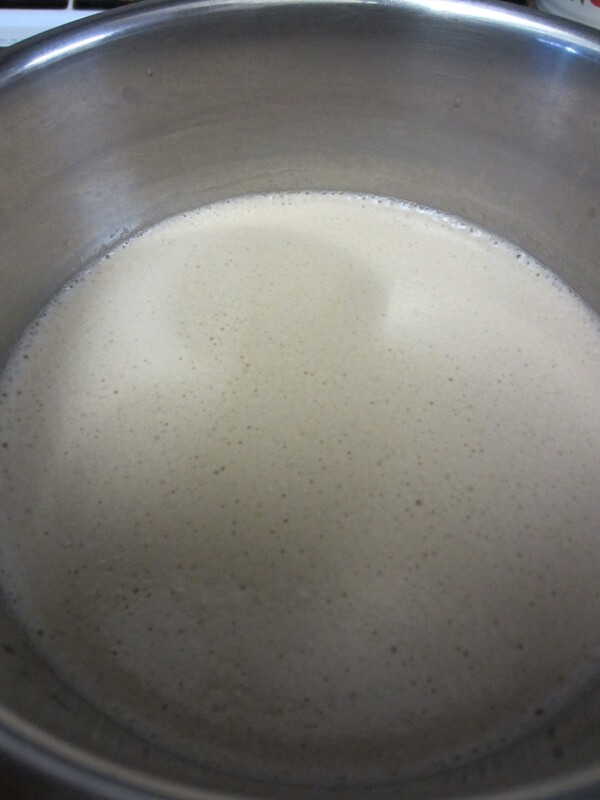 In a large saucepan combine cream, milk, sugar and vanilla. Bring to a gentle boil over medium heat and then remove. In a separate bowl, beat the egg yolks. 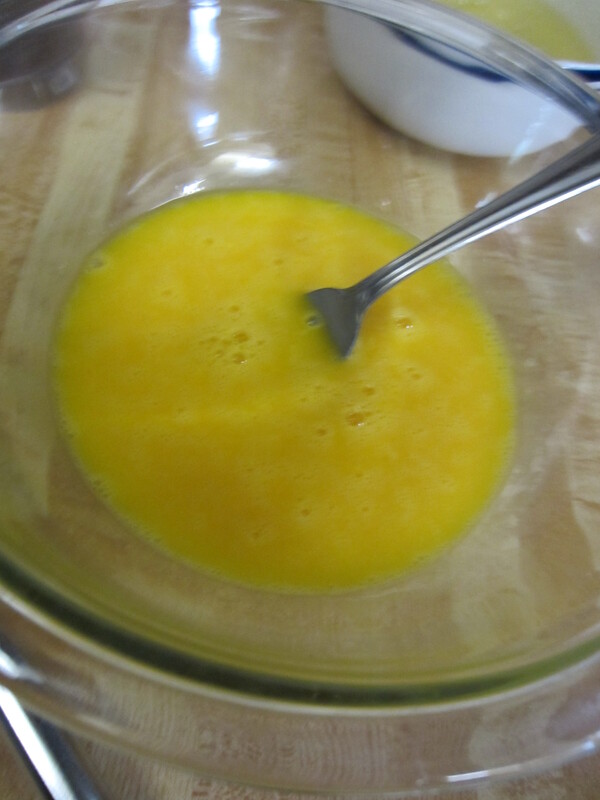 Whisk in 1 cup of the warm cream mixture into the yolks slowly, as you don’t want the yolks to scramble. 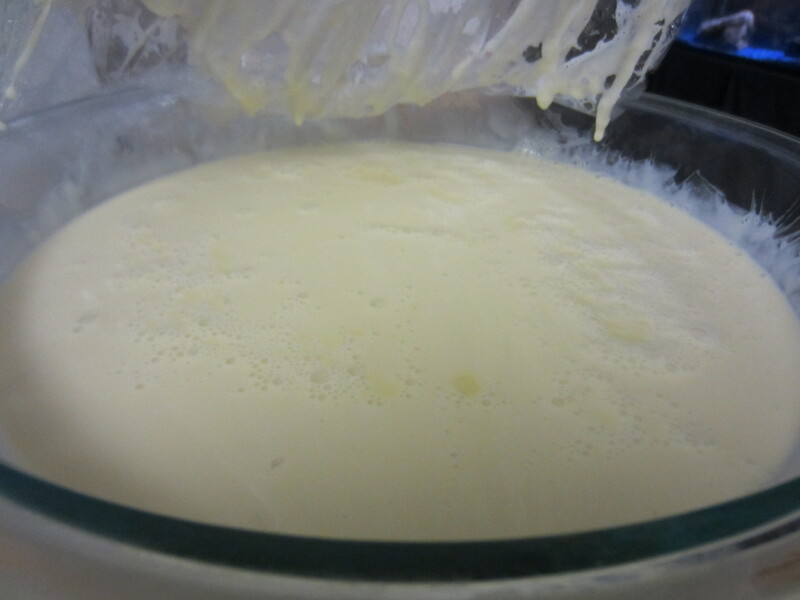 Once combined, slowly add the yolk and cream mixture back into the large saucepan, stirring as you go. 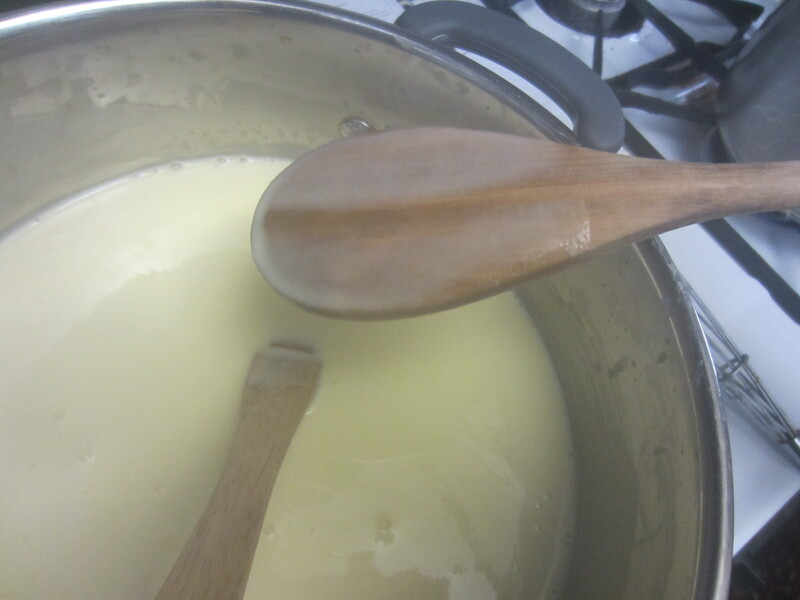 Return to medium-high heat, until it thickens enough to coat the back of your wooden cooking spoon (pictures below). 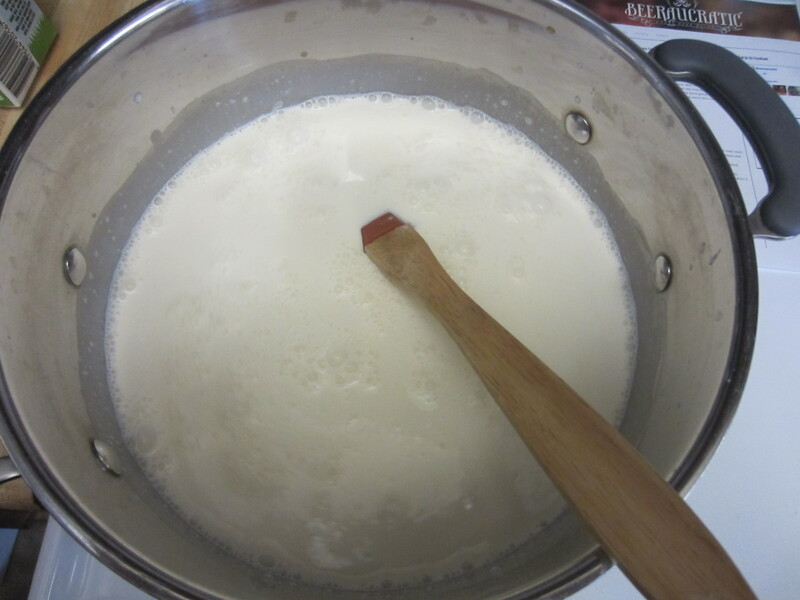 While cooking the cream mixture, simmer the Guinness in another saucepan/pot on medium heat, until it reduces to about 75% of its original volume. 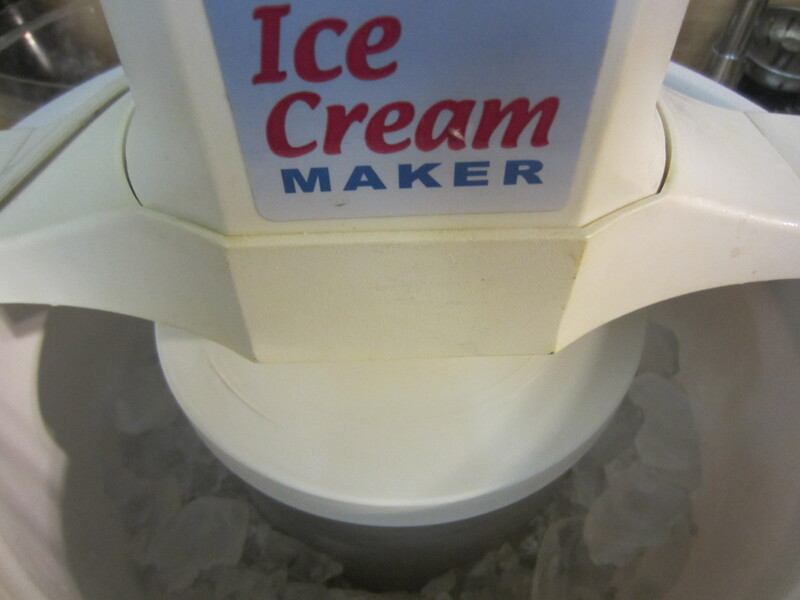 This will boil out some of the alcohol, which will help the ice cream freeze normally. 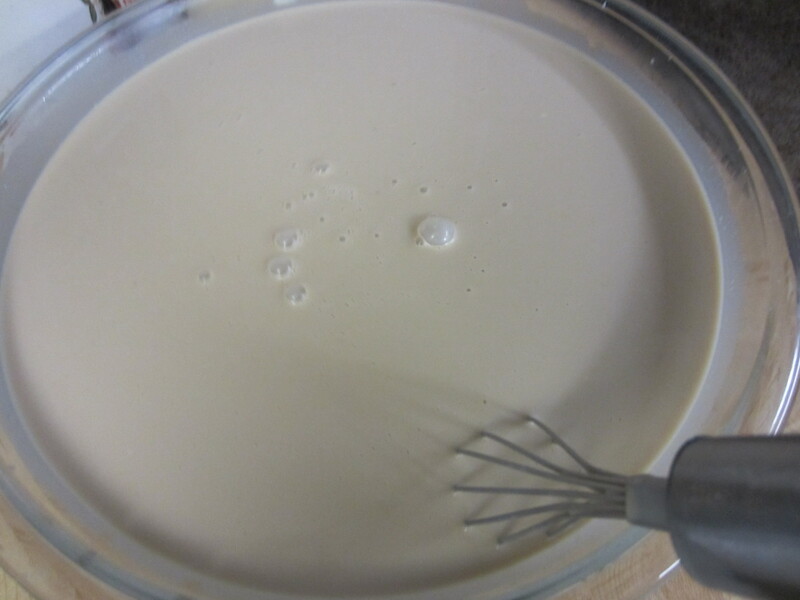 After the cream reaches it’s “done” zone, pour it into a large bowl (through a mesh sieve/strainer) and cover with plastic wrap. 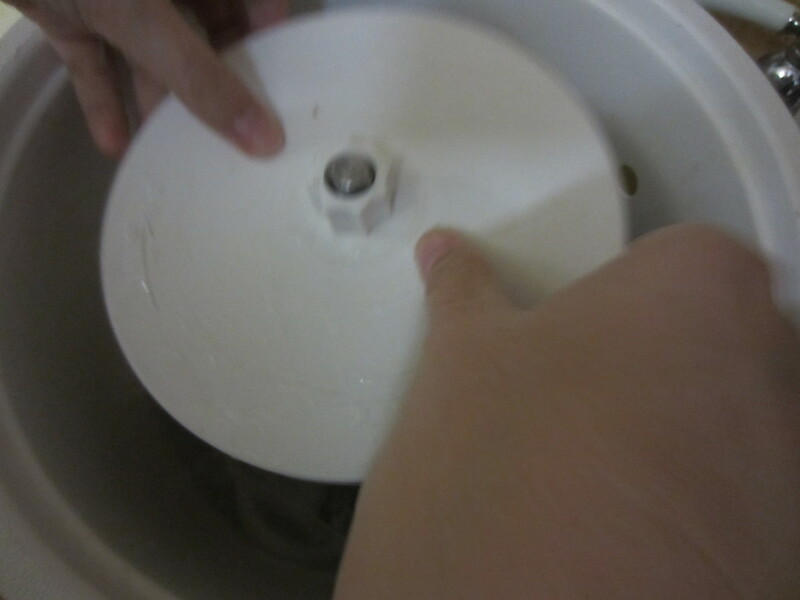 Push it down so it’s in contact with the cream, to prevent a thick surface skin from forming. Cool in the fridge for at least 2 hours. 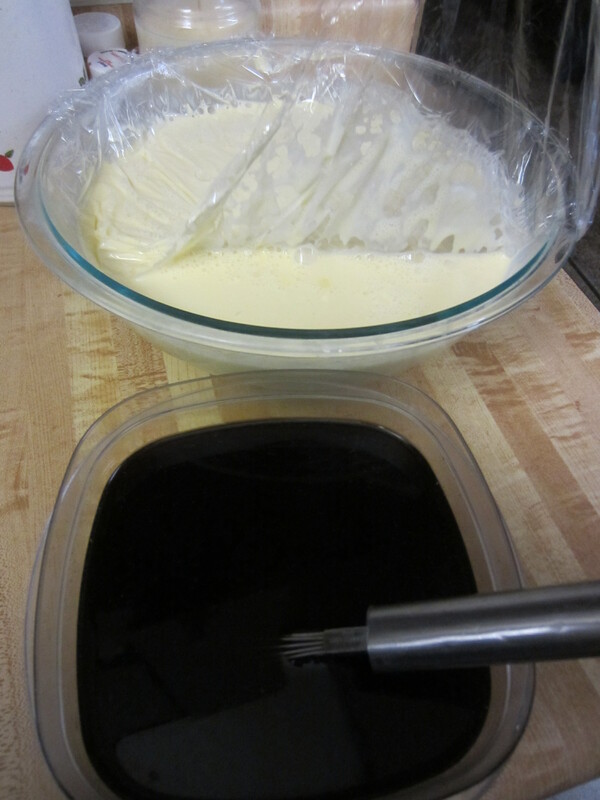 Put the Guinness reduction into a bowl and leave in the fridge with the cream while it cools. 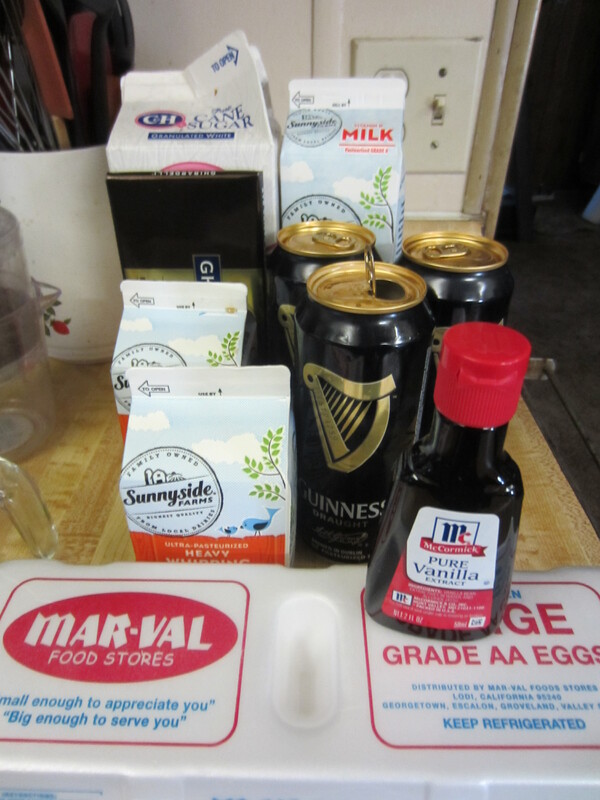 After cooling, carefully mix the Guinness into the cream, and stir until fully mixed. 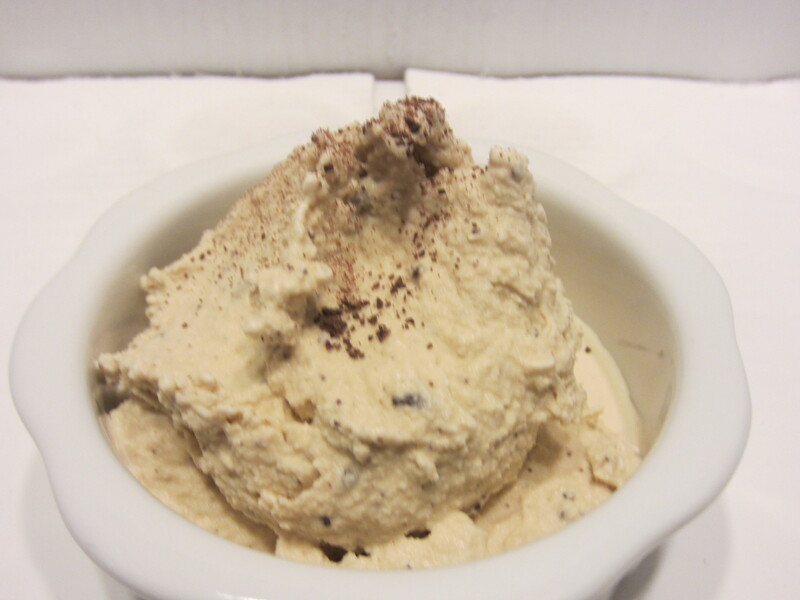 In a food processor, combine espresso beans and dark chocolate, and pulse until they make a coarsely ground consistency. A fine chopping would do if you don’t have a food processor. 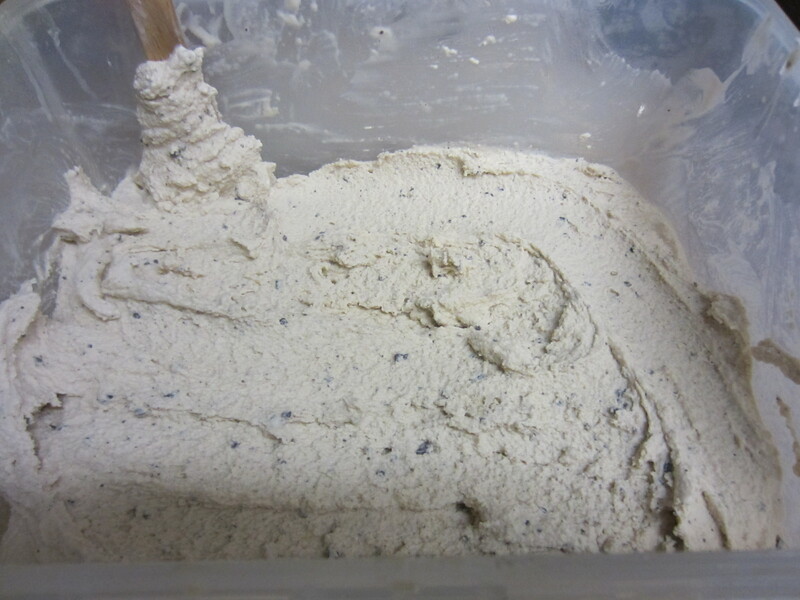 Pour the cream/Guinness mixture into your ice cream maker (we had too much, so it took two batches), and follow the instructions from the manufacturer to complete the mixing/freezing process, mixing in the espresso/chocolate grounds about halfway through. 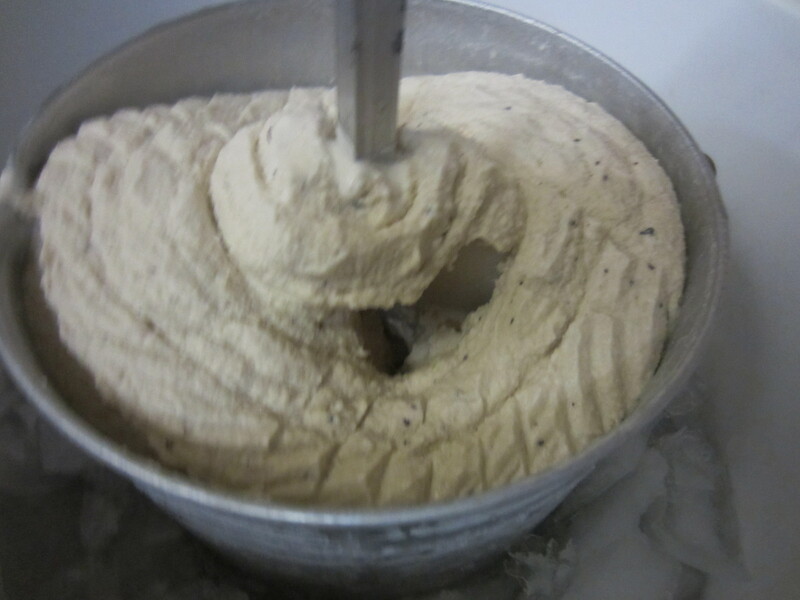 When it’s done, it will have the consistency of soft-serve ice cream. Serve right away if desired, or store in an air-tight container and freeze to harden into a more “normal” ice cream consistency. Makes about 2 1/2 to 3 quarts all together. First off, I really can’t take much credit for this one. My wife Sara deserves all the credit, as she does with just about everything in my life. I just try to help when I can. 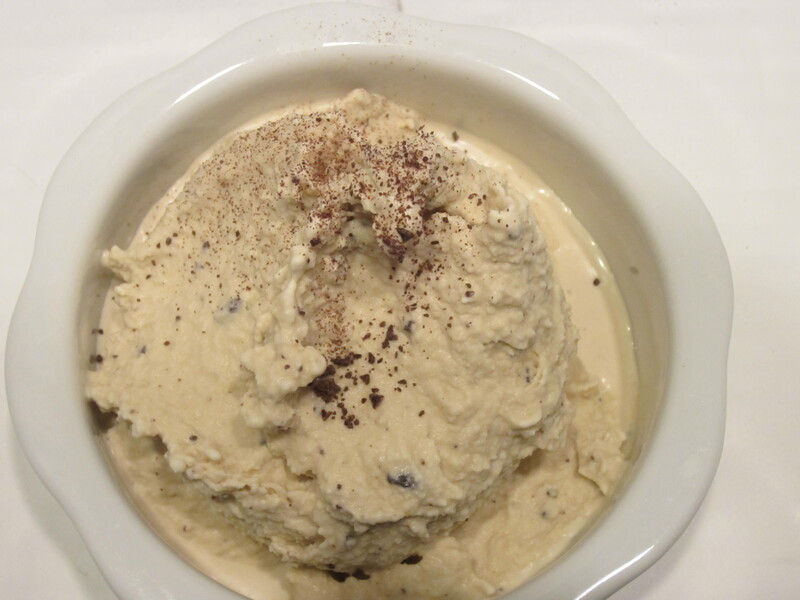 I don’t think you can ever go wrong with homemade ice cream, and adding Guinness, dark chocolate, and espresso beans to it really makes a delicious summer treat. There is just enough Guinness flavor that you know it’s there, but the sweet cream and bitter chocolate/espresso beans pull everything together well. It will definitely win over any beer loving crowd. Try it someday! This entry was posted in cooking, Desserts. Bookmark the permalink. I’m seriously going to have to buy an ice cream machine. Maybe I’ll get it for my wife for her birthday lol. Wait…that’s not a bad idea.